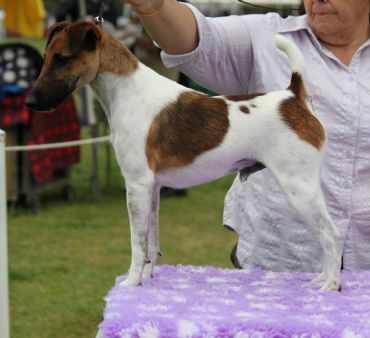 Am.Ch and Australian Champion Trimor Three Doors Down to Arden AKA 'Tommy'. Tommy has been health tested and is OFA Excellent for cardiac,hips, patella's and calf-perthe's. He also is CERF excellent. This boy gained his Am.Ch at 2 years of age with limited showing. He is a Best in Show and Reserve in Show winner and also has his UKC Championship. 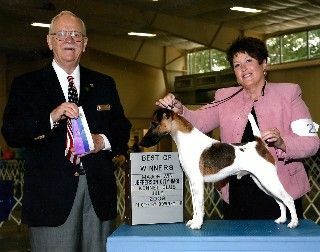 Tommy was the 2nd leading SFT in 2009 in the UKC pointscore and had been invited to compete in the UKC Top Ten Competition in Richmond,Indiana USA in July 2010, subsequently won by a litter brother. From limited matings this boy has progeny winning Best in Group, Runner-up Best in Group, Class in Show and Runner-up Best in Show awards.